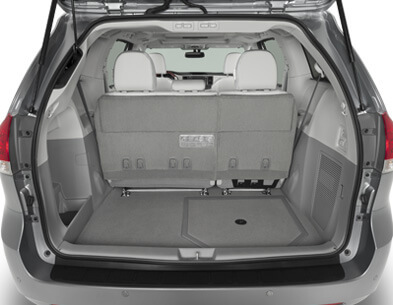 The Toyota Manual Rear-Entry combines the power and comfort of the Sienna with the space and affordability of a rear-entry. 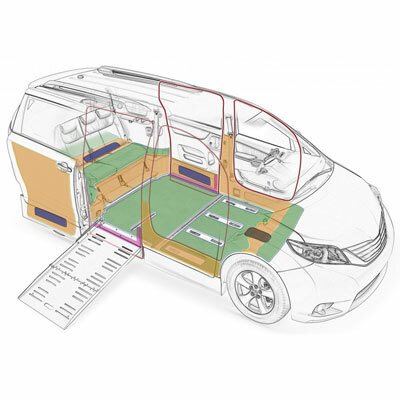 Its 32” wide ramp accommodates larger wheelchairs, and the lowered-floor interior has space for up to two wheelchair passengers. 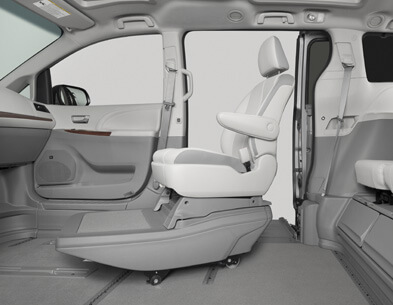 With 25” of space in the middle seating position, the Toyota Manual Rear-Entry offers the option for wheelchair passengers to ride in the second rows. 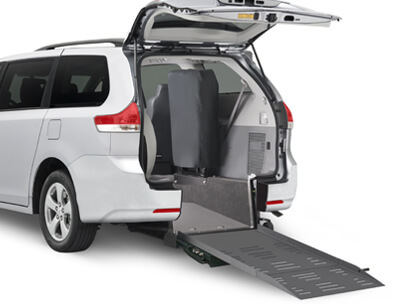 The Toyota Power Rear-Entry has a 32” wide ramp to accommodate larger wheelchairs, and a lowered-floor interior has space for up to two wheelchair passengers. 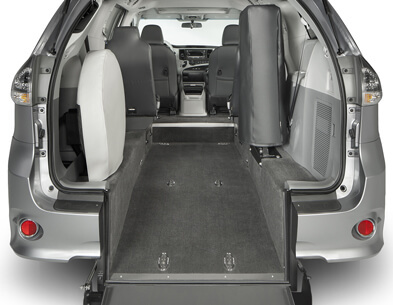 With 25” of space in the middle seating position, the Toyota Power Rear-Entry offers the option for wheelchair passengers to ride in the second rows (when aftermarket seating is installed). 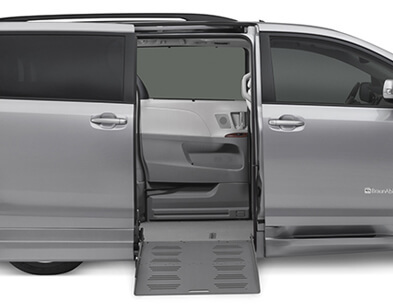 The Toyota Manual XT ramp wheelchair van offers accessibility and convenience all in a streamlined, sporty package. 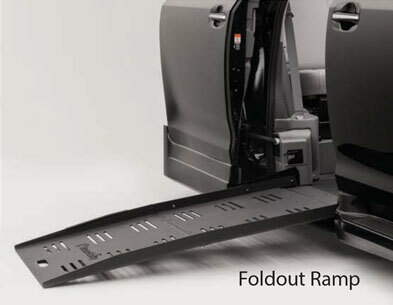 A lightweight aluminum side-entry ramp can be conveniently folded out for easy wheelchair access. 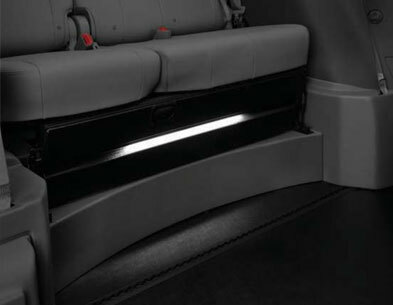 Third row roll-and-tumble seats fold forward to offer additional cargo space when needed. 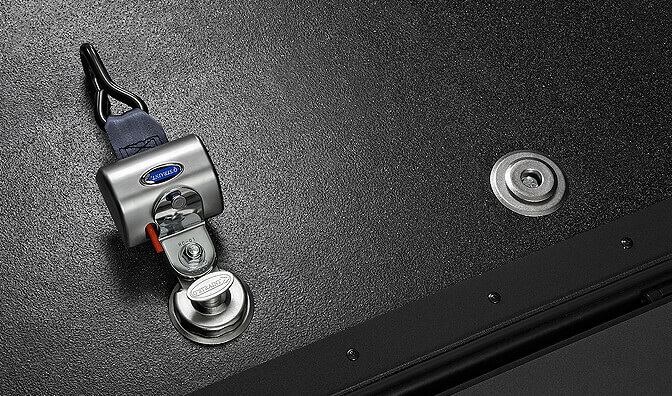 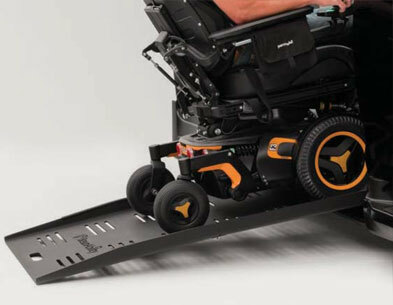 With a full 56” clearance through the doorway and up to 60″ inside the van, this spacious option is the right choice for taller wheelchair and scooter users. 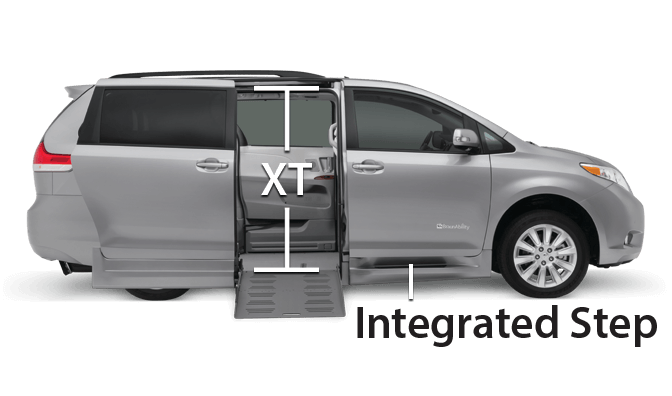 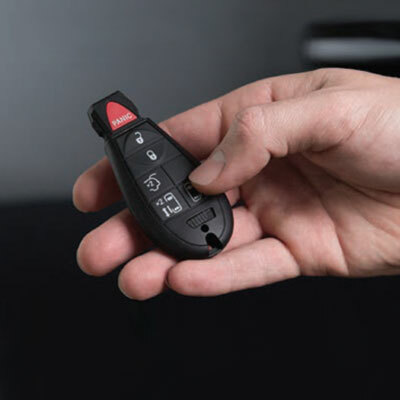 The BraunAbility Toyota XL has improved space for just-right maneuverability, a new suite of best-in-class features, all without compromising ride, handling or durability. 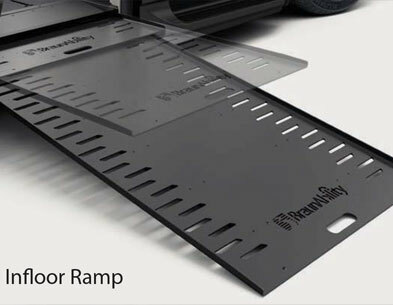 This heavy-duty 1,000 lb ramp has a durable, nonskid, powder-coated finish ensuring superior traction. 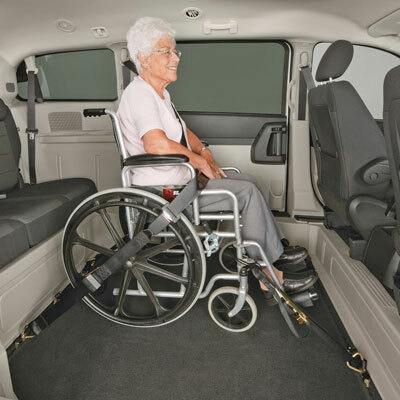 The slotted surface helps to prevent your chair from tracking debris into your wheelchair van. 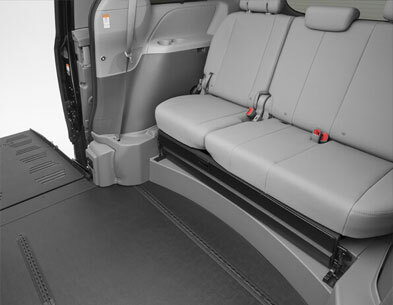 You can enter and exit with confidence with this wide doorway and ramp system. 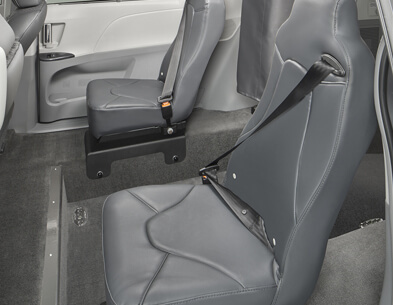 The interior space has an additional six inches of cabin length and has a wide open area to comfortably maneuver the biggest wheelchairs. 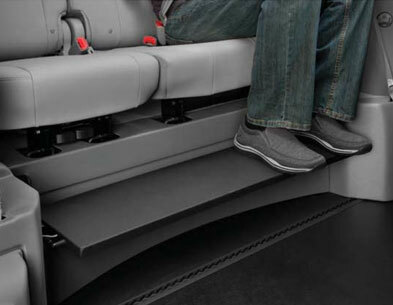 The full-length, hideaway footrest offers comfort and stows away seamlessly into the rear bench. 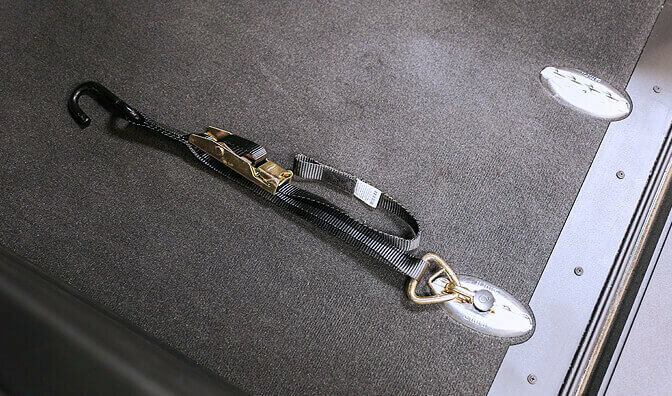 Toyota XL Power Infloor offers six additional inches of cabin length for just-right maneuverability, without sacrificing ride quality or vehicle handling.